Are you someone that does Yoga or some type of activity that requires you to have a long towel? If so then I have one for you that you should check out. I was recently asked to review the Aurorae Yoga Towel and let you all know what I thought of it. Well first off check out the color, purple my favorite! I was in love from the time I opened the package…lol. But you might be thinking you cant judge how good it is by color, right? 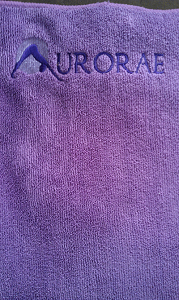 So here are a few other details and perks about the Aurorae Yoga Towel . This towel is super long, measuring 72″ x 24″. That makes it so nice for any type of floor activities or stretches you need to do as you can lay down on it and your whole body is on the towel and not hanging off of it. I am even thinking I may take mine with me to the beach to lay on as beach towels are never long enough. If soft and absorbent is qualities are something you are looking for, then this towel has you covered. It is made from super absorbent, Micro Fiber that is not only great for wiping away perspiration and making it slip free, it also makes it so soft. 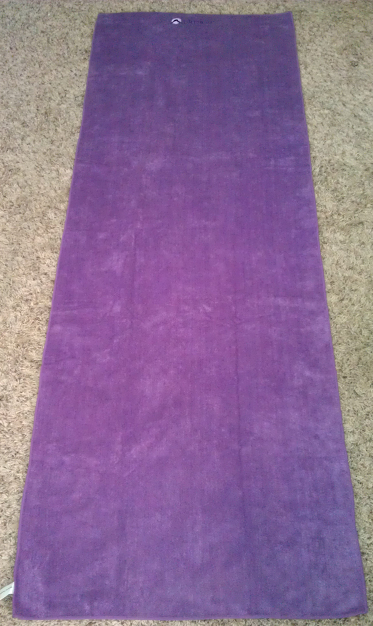 One of the best things I like about the Aurorae Yoga Towel is that it is machine washable. With normal mates you cant just throw it in the wash but with this towel you can. Making it easy to have a clean dry slip free surface every time you need it. Aurorae products can be found on the Aurorae Website or even on Amazon. If you are looking to get one they are reasonably priced around $25 – $35 and will last you a long time. They also have a shorter one available at a lower price.